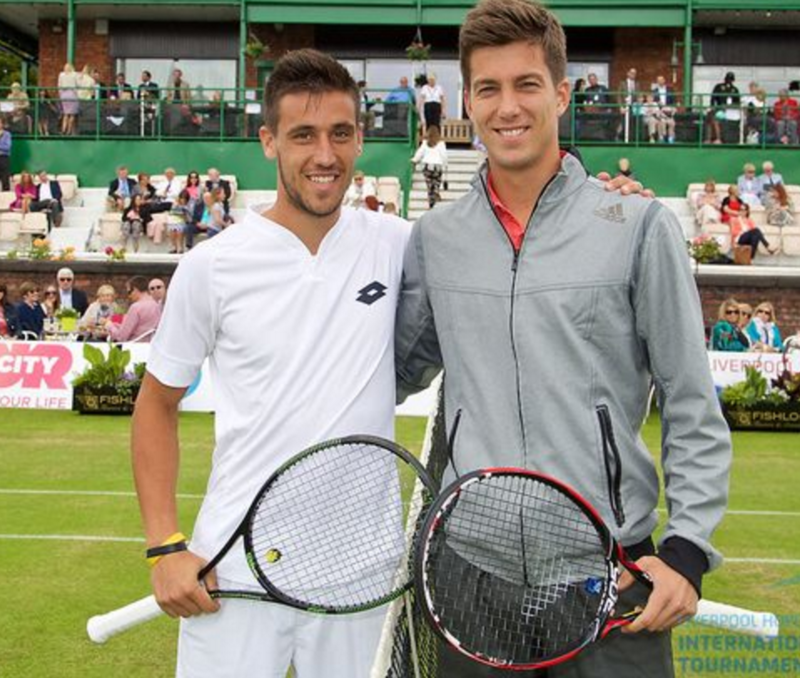 Damir Dzumhur returns to Liverpool with Rafael Nadal as his latest victim! DAMIR Dzumhur will be returning to the Liverpool International Tennis Tournament in June – with Rafael Nadal as his latest high-profile scalp. Sarajevo-born Dzumhur, who was a finalist at last year’s Liverpool tournament, has confirmed his participation at this year’s 15th anniversary event. Ranked 94th in the ATP Rankings, the Bosnian defeated Nadal at the Miami Open. The Spaniard trailed 2-6, 6-4, 3-0 before retiring due to severe heat exhaustion. Dzumhur then went on to beat Mikhail Kukushkin to set up a tie with Milos Raonic in the last 16. Anders Borg, director of the Liverpool International tournament, has compared the stage Dzumhur is at now to that of David Ferrer, a former Liverpool International favourite. He said: “Players like David Ferrer and Caroline Wozniacki have played here. I believe he is now at the level they were at that when they were here. The popular tournament is now approaching its 15th birthday – after launching in 2002 with then World Number One Marat Safin receiving his trophy from a promising Liverpool footballer called Steven Gerrard. All competitors for 2016 are being announced on April 18, but Borg could not wait to announce Dzumhur following his Miami success. For the third year running, the tournament will be held at historic Liverpool Cricket Club venue in Aigburth. It had been held at Calderstones Park for over a decade. The International has played host to some of the legends of the tennis world including John McEnroe, Bjorn Borg, Martina Navratilova, Martina Hingis and Marion Bartoli.